These Anti-Static Cleaning Wipes remove dust and dirt from laptops, TVs and other flat surfaces. 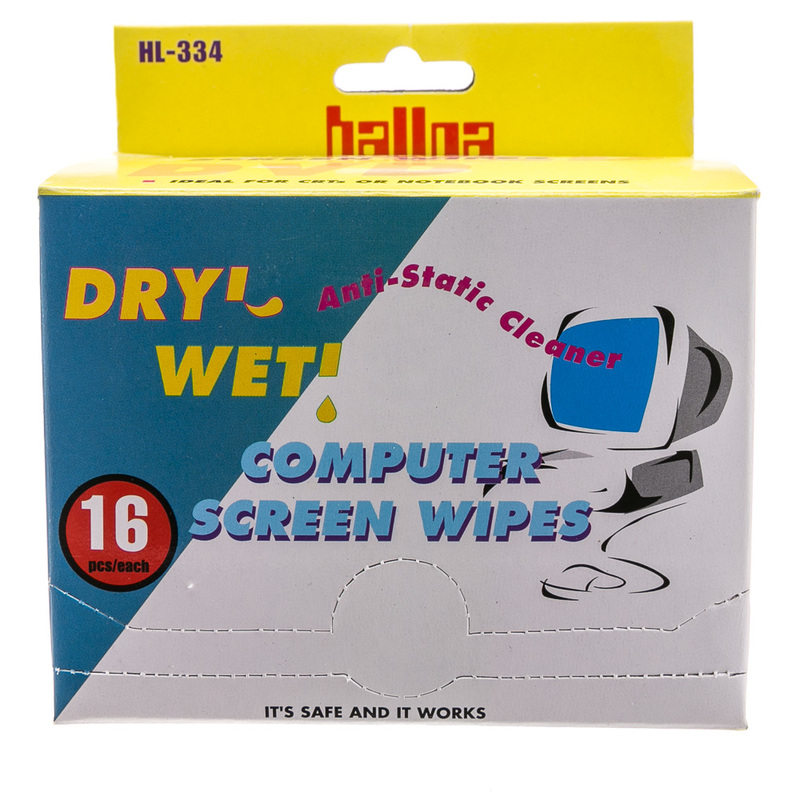 They also clean CDs, DVDs, keyboards, calculators, almost anything with a plastic surface. 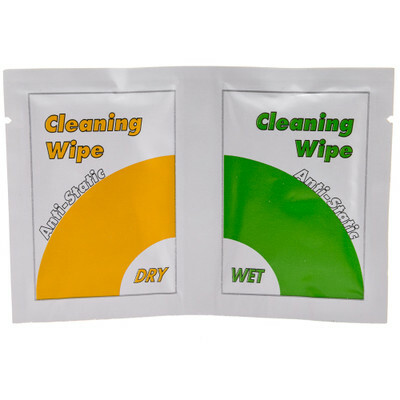 The wipes are microfiber and come as a wet and dry set, to clean and sparkle. 16 Individually-sealed sets per package.